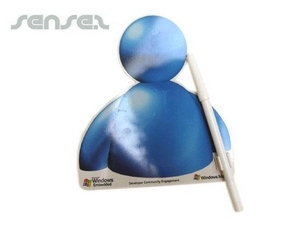 Nothing suitable in promotional pen holders? How about custom branded notepad & pen sets, logo printed corporate business card holders or one of our promotional office desk accessories? 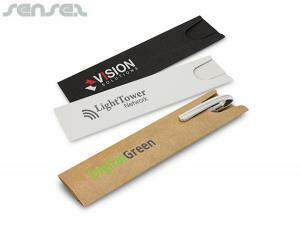 Promotional pen holders are great branding items for the office desk. Our unique range of branded pen holders, pen desk caddies, corporate pen holders are ideal office presents! They are constantly on display and you can also fill them with your own branded pens and pencils for a greater branding impact. We have a innovative range of different pen holders available including magnet pen holders and liquid filled pen holders. Our clear promotional perspex pen holder is ideal for corporate office giveaways. We also have Desk pen holders with string that attaches to pen, so you can't lose it - great for banks and public areas. Our custom made snowdome pen holders make lovely gifts for Christmas. Liquid pen holders are filled with sparkling liquid that looks like beer or cola - great for promoting alcohol and beverages. Or try our logo inserted magnet pen holders in yoru own design - perfect for the home and office. Stick it on your fridge and never lose your pen again - great merchandising item to have next to your to do list and shopping list.